Bermondsey was recorded as Vermudesi c.712 and as Bermundesy in the Domesday Book and the name is derived from the Saxon lord of the district Beormund and his family who lived here and the Old English Eg - 'an island' (or marsh) - 'Beormunds island'. The name changed to its present spelling over time. 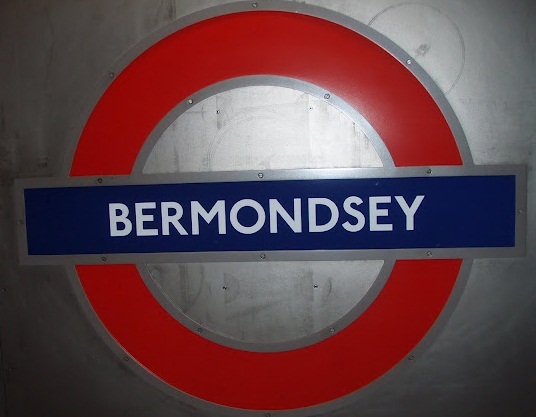 The station opened as BERMONDSEY on 17 September 1999.